The Scholarship Foundation (TSF) of Wakefield has rescheduled their annual Golf Tournament at the Bear Hill Golf Club in Stoneham to Monday, October 17th at noon. Rain and threatening thunderstorms caused the original date of September 19th to be postponed. The tournament features numerous prizes and a noontime shotgun start that is limited to 64 players, male or female. 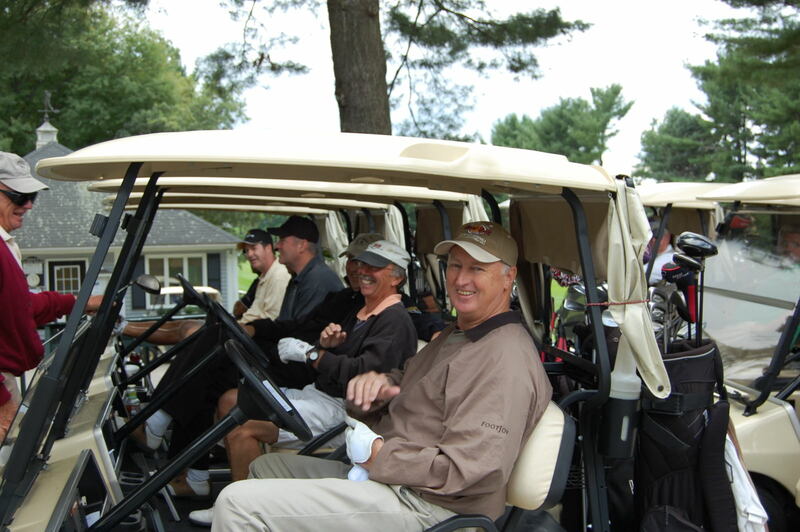 Since a few of the original golfers cannot play on October 17th, we will be accepting new players up to October 12th. The cost for 18 holes of golf with a golf cart, a sleeve of golf balls and a dinner is $125 per person. Each golfer will play his/her own ball and the Callaway system will determine the top three net prize winners. Prizes will also be awarded to the top three low gross winners. Other prizes will include the longest drive on the 12th hole, closest to the line on the 10th hole and closest to the pin on the four par three holes. The top prize will be $500 for the first hole-in-one on the seventh hole. Enjoy a beautiful afternoon of golf followed by a delicious dinner buffet, prizes and a raffle with over 40 prizes all while supporting a great cause for scholarships. The tournament sponsors are the Wakefield Co-operative Bank, the Wakefield Daily Item and Boston Private Bank. TSF of Wakefield is very grateful for their continued support. 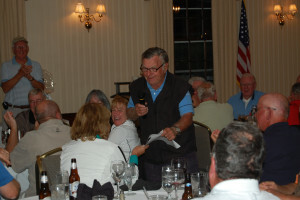 To sign up for the tournament, please call the TSF office at 781-245-4890 or contact one of the co-chairmen: Tom Merchant at 781-246-1121 or Bob Curran at 781-245-4431. The field is limited to the first 64 players, so don’t delay and sign up now. 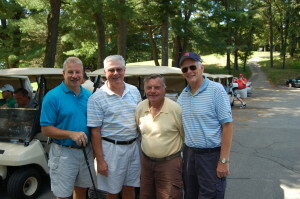 The Scholarship Foundation of Wakefield will hold its 31st annual Golf Tournament on Monday, September 19, 2016 at Bear Hill Golf Club in Stoneham. The tournament will feature numerous prizes and a noontime shotgun start that will be limited to 64 players, male or female. Each golfer will play their own ball and the Callaway system will determine the top three net prizewinners. Prizes will also be awarded to the top three low gross scores. Other prizes will include the longest drive on the twelfth hole, closest to the line on the tenth hole, and closest to the pin on the four par three holes. The top prize will be $500.00 for the first hole-in-one on the seventh hole. Enjoy a beautiful afternoon of golf followed by a delicious dinner buffet, prizes and a raffle all while supporting a great cause. Tournament sponsors are the Wakefield Co-Operative Bank, the Wakefield Daily Item and Boston Private. TSF of Wakefield is very grateful for their continued support. The cost for 18 holes of golf with a cart, a sleeve of golf balls and dinner is only $125 per person (if paid before September 12th; $150 per person after September 12th). This is a great opportunity to play a private course that is in excellent condition. You can make your own foursome or we will place you in one. If you cannot join us, please consider sponsoring a tee or donating a raffle prize. Download a TSF Golf registration form 2016. For further information and to be placed on the mailing list, please call Roberta at (781) 245-4890. For further information about TSF of Wakefield, please visit our website www.tsfofwakefield.org.